The CK info is Johann David Wyss. His son, Johann Rudolf Wyss, edited and completed the manuscript of The Swiss Family Robinson. Please do not combine father and son. Thank you. Johann David Wyss (May 28, 1743 – January 11, 1818) is best remembered for his book The Swiss Family Robinson. It is said that he was inspired by Daniel Defoe's Robinson Crusoe, but wanted to write a story from which his own children would learn, as the father in the story taught important lessons to his children. The Swiss Family Robinson was first published in 1812 and translated into English two years later. It has since become one of the most popular books of all time. The book was edited by his son, Johann Rudolf Wyss, a scholar who wrote the Swiss national anthem. Another son, Johann Emmanuel Wyss, illustrated the book. Unlike his son, Johann David Wyss lived up to the age of 74, dying in 1818, four years after he wrote The Swiss Family Robinson. Wyss has been described as an author whose style was "firmly Christian and moral in tone". 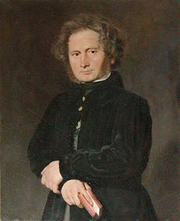 Johann Wyss is currently considered a "single author." If one or more works are by a distinct, homonymous authors, go ahead and split the author. Johann Wyss is composed of 22 names. You can examine and separate out names.